Apulia Shuttle, Corato, Puglia. Information, Photos and Reviews. Apulia Shuttle is a company operating in Puglia founded with the purpose of meeting the mobility and transport needs of individuals, small groups, companies, government agencies and institutions, providing professional services of Car Rental with Driver. We offer Private Transfers From & To Bari International Airport Karol Wojtyla to any destination such us Bari Metropolitan City Area, Alberobello(Ba), Brindisi City Area/Airport, Cisternino(Br), Castel del Monte(Bt), Fasano(Br), Locorotondo(Ba), Monopoli(Ba), Matera(Mt), Martina Franca(Ta), Napoli City Area/International Airport Capodichino(Na), Polignano a Mare(Ba), Ostuni(Br), Savelletri(Br), Lecce(Le) & Salento Area. Shore Excursions from Bari City Area or Terminal Cruise to the Unesco's sites of Alberobello the City of Trulli, Matera the City of Stones, Castle del Monte and still Castellana's Caves, Trani(Br) and much more. We are even focus on Private Tours, ideal for individuals or small groups, to discover our beautifull land, Puglia. Apulia Shuttle knows that Service is about much more than accepting your booking or getting you to the requested destination. Service is about trusting Apulia Shuttle to provide you with the highest quality in personalised service. We love our land and therefore our job. We are glad to anticipate all needs of our Customers by managing every aspect before it can create any inconvenience. Our professional English Speaking drivers work with the maximum effort in order to meet and exceed your expectations. We operate professionally respecting all legislative requirements such as insurance and licence to carry out activities of Hire with Driver throughout the National territory. 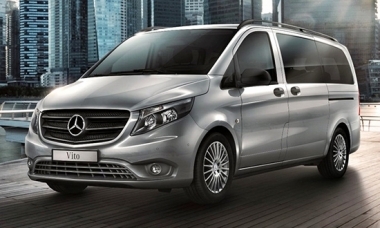 We only use Van Mercedes Benz up to 8 passengers, vehicles that offer maximum comfort, with safety devices on top of technology, even with the best interior design and equipment full optional. 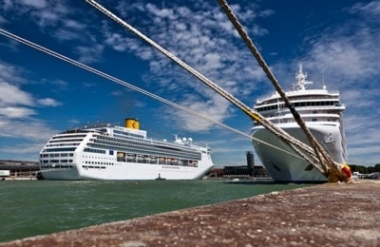 We have selected some of Apulia's best companies operating in the tourism industry to assist you with every aspect of our service, as you would expect from a truly professional organization. Travel with Apulia Shuttle and you'll experience a different way to moving throgh Puglia's Land. Nobody has reviewed Apulia Shuttle yet, Be the first. You are submitting a booking enquiry. Apulia Shuttle will then contact you by email with details of availability and prices.